The idea behind the Electroloom is to make it even easier for anyone to become a designer, which would in turn mean less waste in clothes production and items would have a smaller carbon footprint. Sounds too good to be true? With this advanced 3D fabric printer the Electroloom team say that in order to design and create seamless fabric items all you would need is the Electroloom and a bit of CAD know how. The team developing this technological feat are three engineers who have established an electrospinning process that makes even an amateur be able to become part of their “community and design ecosystem”. They dub this Field Guided Fabrication, whereby just following three steps – designing a mold in CAD, put it in the Electrloom and watch it work its magic! – and anyone can design and make items, translating as less waste fabric in the long run. Their Kickstarter campaign is underway to turn this possibly anti-waste revolution into a reality. 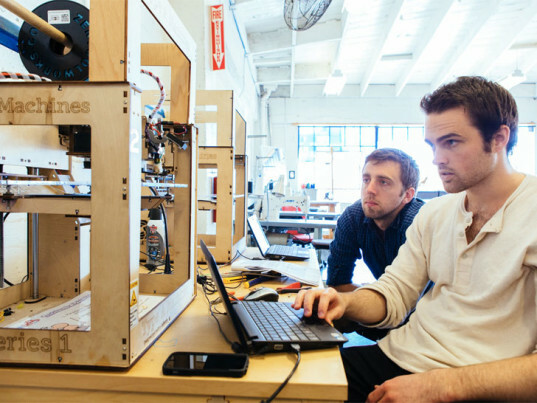 Here is Electroloom’s Joseph White speaking with Ecouterre about the sustainable potential of the 3D printer. What inspired the Electroloom concept? Really, the Electroloom started as a conversation about the future. It was a “what if” kind of thought—what if we could print our clothes and anyone anywhere could be in control of the design of their clothing? Electroloom began with a question: What if we could design and print our own clothes? From there it grew into something that was constantly on our minds about how we actually might be able to do it until we eventually came up with a way we thought would work and started building it. Who are you targeting with your Kickstarter campaign? This campaign is not yet a product. We’re looking for early adopters to begin to experiment with our technology in a very early stage. Does Electroloom have a sustainable story to tell? There’s a lot of waste in the textile industry. Electroloom has the potential to reduce the impact of this waste in a variety of ways. We’re still in such an early stage, however, so a lot of this is still speculation for us. There are fascinating ideas around dramatically reducing the amount of waste that goes into the fabric-manufacturing process because we’re able to go from raw material directly to finished good. 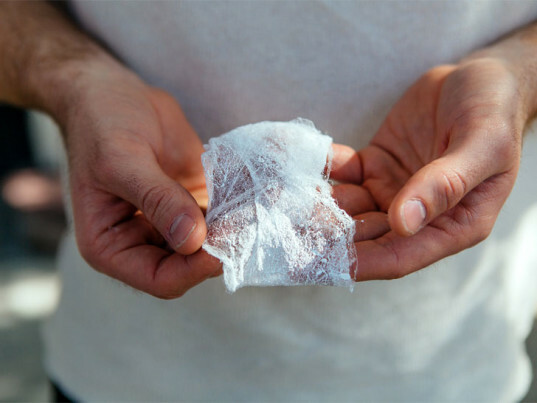 Electroloom could potentially reduce the amount of fabric waste in the garment industry. We’re able to reduce the carbon emissions of shipping various components of the textile creation process because it occurs in a single step with Electroloom. Again, there are many ideas here, but it’s hard to say how close we will be to these because we are still in an R&D stage of development. Will Electroloom usher an age of democratic fashion design? A lot of people talk about this idea, and it’s definitely an exciting one. I think our big vision is one that includes the freedom for anyone to design clothing and share it with the world. Our technology isn’t quite there, but it’s one of the things we’re definitely interested in and working on. You say you want people to experiment with the technology in order to further develop it. How do you envision Electroloom evolving? We want to explore, via our developers, what the limits of our technology really are. We’ve done a lot of experimenting ourselves, and we like some ideas we’ve come up with on how our devices can be used. But we know how creative people can be when given access to new creative outlets and freedom to design. We imagine optimizing our future iterations around what our developers are most interested in, where they see the most value, and what works the best with our early machines. 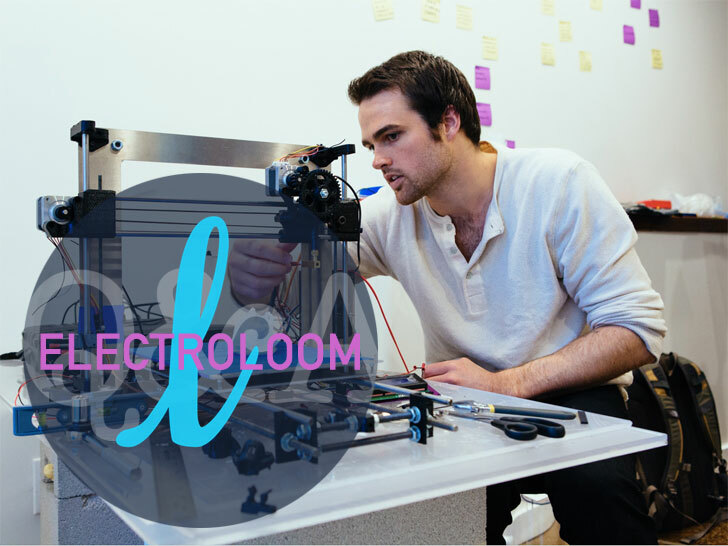 The main ingredient in Electroloom’s prototyping material is biodegradable. Do you plan to use more eco-friendly materials? This is already an area we’re very conscious of. The main ingredient in our current prototyping material is biodegradable, and our materials engineer is hard at work to create blends that rely on water as a main constituent, rather than any harsher chemicals.